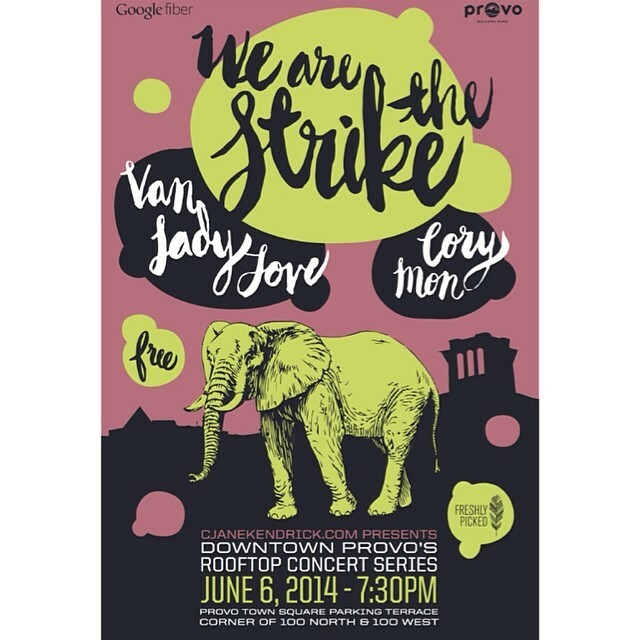 The Provo Rooftop Concert is the place to be tomorrow night (Friday, June 6th). Take a look at the incredible line up featuring We Are the Strike, Van Lady Love, and Cory Mon. What is the best way to get to the Rooftop Concerts? By bike, of course. Ride on down to the bicycle valet (just West of the rooftop), and your bicycle will be safe and secure – watched over by volunteers from the Provo Bicycle Collective and Provo Bicycle Committee. No cost for the concert. No cost for the bike valet. Plus, be sure to pick up your free BikeProvo.org wallet card while you’re there. 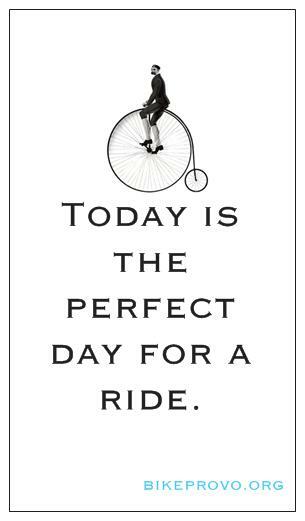 Tape it to your mirror, put it in your wallet, or ride with it in your spokes to remind you that today is the perfect day for a ride. See you at the concert!